With opportunities available in Bathurst, Kelso, Raglan, Orange, Rutherford & Lithgow, Carter Properties may have the solution for you. 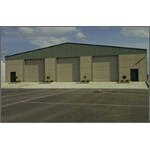 We can also create custom designed commercial properties tailored to your needs and get your business up and going. Please feel free to contact us.